The aim of this collaboration is to build the capacity of community-led housing movements and initiatives in Manchester and Gothenburg while generating comparative insights into the dynamics of gentrification and housing justice in two European cities. A delegation of five community-led housing scholars and practitioners will participate from each city-region. There will be two international learning exchange workshops – one in Manchester in February 2019 and one in Gothenburg in April 2019. The delegations will explore the comparative institutional and policy context for community-led and affordable housing in Sweden and the UK and within the local urban contexts of Manchester and Gothenburg; carry out site visits to community-led housing initiatives; and engage in comparative reflection about how far lessons are transferable across different European cities. A final online report will be published capturing their reflections and conclusions. Dr Sophie King joined the Urban Institute as Research Fellow for the Realising Just Cities programme in January 2017. 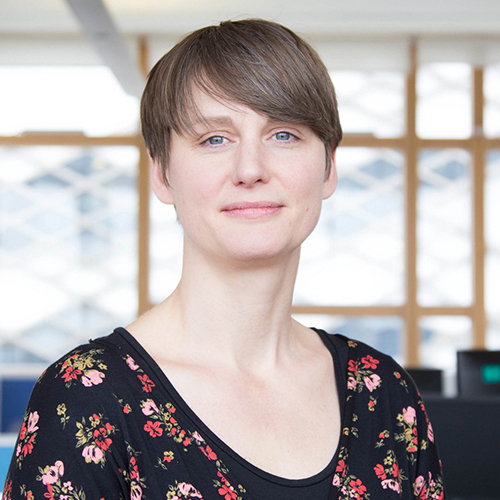 Sophie has a PhD in Development Policy and Management from the University of Manchester, an MA in Social Research from the University of Leeds, and a background in community development practice and participatory action research within the Greater Manchester city-region. Magnus Johansson är projektlmedlem i Mistra Urban Futures Skåneplattform.